Large beach house on Beach Street, ocean views, living room, kitchen, dining room, deck with bbq, sunroom, 1st floor bedroom w/queen bed, 1st floor full and half bath, laundry, 2nd floor full bath 3 bedrooms - queen, full (w/ half bath) and 2 twins, 3rd floor full bath, master bedroom w/ 2 king beds and panoramic views of the ocean, Ogunquit Beach, dunes and tidal river. Walk to beach, walk to town. On trolley stop. Ideal location and no other similar rental in Ogunquit. Parking for 2 or 3 vehicles, depending on size. 1st floor is not air conditioned. 2nd and 3rd floor bedrooms have air conditioning. Closest vacation house rental to Ogunquit Beach. Walk to every attraction in town. Perkins Cove, Marginal Way, shops, restaurants, clubs. Also includes use of tennis court and outdoor heated swimming pool. Norseman Resort: 3 hotels in Ogunquit to accommodate all of your vacation needs. Norseman Resort - the only beachfront hotel in Ogunquit. 95 guest rooms featuring king or queen beds. All rooms have refrigerators, coffeemakers, hair dryers, irons, complimentary wireless internet. Also 2 apartments on site. Beach Store, Sunsations - with resort wear for men, women and children. Splash Oceanfront Restaurant - beachfront dining, serving lunch and dinner with full service bar. Aspinquid at Norseman Resort: 58 rooms with double beds, full or efficiency kitchens, outdoor heated pool, outdoor grill, tennis court, sauna, exercise room. Most rooms have private balconies. Seacastles Resort Inn & Suites: Located in the heart of the village on Shore Road. Many different style units available with accommocations from 2 - 6 people. Indoor heated pool, indoor whirlpool, outdoor seasonal hot tub. Rooms have queen or double beds, full or efficiency kitchens, coffeemakers, hair dryers, irons, wireless internet. 1st floor full bath is handicap accessible. 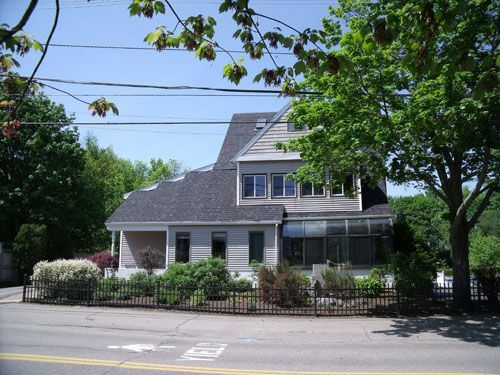 41 Beach Street is located in the heart of Ogunquit. Steps to Ogunquit Beach. Walk the Marginal Way to Perkins Cove. Many restaurants, shops, galleries and activities nearby. On trolley route. Our staff at the Aspinquid at Norseman Resort will be happy to assist you with area recommendations. 41 Beach Street is owned and operated by Norseman Resorts. 1/3 Deposit Required at time of reservation. Balance due at check-in. Checks for deposit only. Cash, American Express, Discover, MasterCard, Visa accepted at check-in.